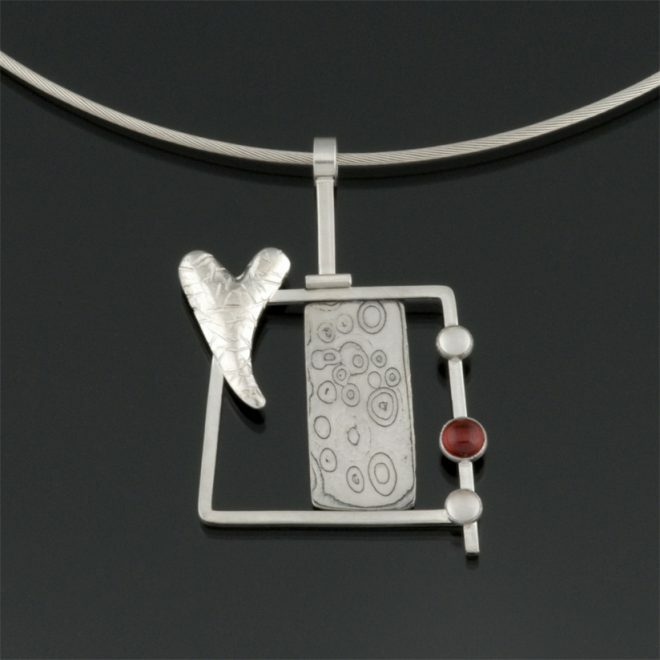 Sterling silver and mokume gane pendant set with garnet and moonstone cabochons. This series was inspired by my scrap bin. I’d had a long hiatus from the studio and had a show coming up so I used my scrap bin as inspiration. Each piece has an element from the scrap bin incorporated. Approx. 2 x 1.5 inches.